I am at NRAO--the National Radio Astronomy Observatory-- in Greenbank, West Virginia for a SETI workshop marking the 50th anniversary of Project Ozma. All Planetary Society members should know that Ozma was the first attempt to detect signals from other stars using radio telescopes. In 1960, a young astronomer named Frank Drake monitored two nearby, sun-like stars named Tau Ceti and Epsilon Eridani. No signals were detected, but the real significance was that the experiment had been performed, lifting the Search for Extraterrestrial Intelligence off the pages of science fiction and into the realm of experimental science. In the ensuing decades, Frank Drake's strategy of listening for electromagnetic transmissions from other worlds broadened to include many searches in the United States, the Soviet Union, Canada, Australia, Argentina, and Japan. The Planetary Society became the fist private organization to organize and conduct many SETI programs, using cutting edge signal processing equipment designed by Paul Horowitz of Harvard University, deploying searches in optical as well as radio wavelengths. 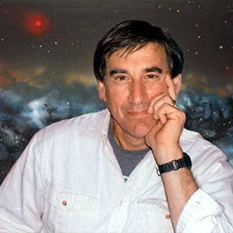 Drake himself remained a key player, founding and directing the SETI Institute in Mountain View California, which is just now beginning a search with the Allen Telescope Array, a system of large radio telescopes whose primary mission is SETI. Astronomer Jill Tarter has dedicated her career to SETI and heads up the search with the ATA. Other organizations like the SETI League have promoted SETI ,and UC Berkeley's Dan Wertheiner's [email protected] project has enlisted the aid of the public in sifting through the haystacks of data for the needle of intelligence. But for all the dedication and technical brilliance of the searchers, no definitive artificial message has been found. Some tantalizing candidates like the famous WOW signal detected by a radio telescope at Ohio State University, have been heard only once -- not good enough for unambiguous detection. As a veteran maker of interstellar messages, I was invited to attend as well, and appreciate the chance of having further discussions on my favorite topic with Frank Drake, my old boss on the Voyager Record project, as well as the galaxy of other luminaries who will be present. What will the next 50 years of SETI bring? Will we employ new strategies and technologies, or continue to pursue the radio search, which never promised to be fast or easy? So many stars, so many frequencies..... It seems like a good time to step back and take stock. One of the virtues of SETI is that it colors your view of everything else. As I drove from Dulles Airport through Virginia I passed places whose names resonated with American history: Bull Run, Manassas, Shenandoah, the Stonewall Jackson Museum -- all reminders of that tragic war that began almost 150 years ago -- just an eyeblink in SETI terms. Fratricidal conflicts like the American Civil War -- the first industrialized conflict-- continue to this day. Indeed, today is the ninth anniversary of the 9/11 terror attacks on New York and Washington. Death and destruction still dominate our news as the inhabitants of our pale, blue dot continue their murderous squabbles. Will such wars destroy our technical civilization before we have the chance to contact real ETs? Decades ago Frank Drake realized, in the famous equation that bears his name, that the most critical factor in determining whether we ever will communicate is "L', the lifetime of a civilization, how long technical societies can last before destroying themselves. If they can last very long periods of time -- thousands or millions of years -- then there may be plenty around for us to find. If civilizations cannot typically survive their technology, then they will be very rare. Human history is not encouraging on that score. On the other hand, we did survive the Cold War without global nuclear annihilation, and each day without a nuclear bomb going off is one more day that encourages hope that our L might be long enough to become a truly galactic civilization. Driving through the lovely hills of West Virginia, I saw forests blushing with the first reds of autumn, creeks and rivers gleaming in the sun. I wanted to put each image on a new Voyager Record, capturing the beauty of this planet where we have evolved, boasting perhaps of the incredible landscapes our Earth has formed around itself. Perhaps there is no better reason for wanting our Earth and our species to have a long L, than to mature enough to join a community of communicating galactic species, if such exist.